The impact of the federal government shutdown in October 2013 is going to be felt by taxpayers for many months, if not longer. 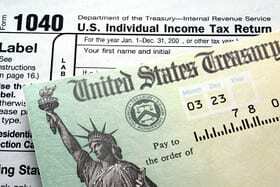 One of the greatest stings will be felt in January by consumers awaiting their tax refunds. The IRS announced last week that while they normally begin accepting tax returns as of January 21st the first day of filing would be delayed until January 28 th in 2014 at the earliest but could be pushed back to February 4th at the latest. While a week sounds like a very small delay, there is still potential this delay will be greater if the government compromise, which ended the October government shutdown, is not resolved by the deadline of January 15th, 2014. The government also only pushed back the date for financial default on the federal debt obligation to February 7th. Both deadlines raise the specter of another extended shutdown further delaying tax refunds. Many use their much needed tax refunds to purchase large and smaller ticket items that they generally have difficulty saving for during the year. Others use the money to catch up on bills. While others, who have been too far behind on their debt for the money to make a significant difference, use the money to get a fresh start to eliminate the debt and rebuild their credit through bankruptcy. The majority of the money refunded by the federal government is done prior to March 1st. This year approximately $135 billion in refunds were sent out. This is more then refunded the next two months of March and April. However, twice as many tax returns are filed during March and April. It is clear from these statistics that people due money back from their taxes generally do not delay in applying for it. Tax refund season also coincides with another unfortunate cycle which is Christmas bill paying season. Generally, charges made in mid t0 late December will appear on credit card statements in January. While few people have the discipline to pay of all of their debt with their refund, many rely on using the refund to “plug the leaks in the dike” of their over extended debt. Often this decision is throwing good money after bad debt. It is highly advisable for anyone struggling with bad debt or credit to also use this time of year to assess their options via bankruptcy or settlements before further impoverishing themselves by giving away their tax refunds. In reality, the IRS’s recently announced 7 day delay is not new. The past two years the government has made excuses for similar delays. There is no doubt that in recent years the Internal Revenue Service has been under constant criticism for inefficiency, if not incompetence, in handling some issues such as identity theft and tax payments of $4 billion to illegal aliens not eligible for such tax deductions. But it is unclear why despite the reoccurring cycle of tax time why the IRS is unable to get prepared on time to deal with this constant cycle. Based on the number of households in Hampton Roads and the averages tax refund per household, this delay stalls the infusion into the local economy of over $15 million in consumer spending. Virginia Beach, Norfolk, Newport News and Chesapeake are the largest commercial centers in the Tidewater area and undoubtedly will feel the strain of this delay. In the Richmond metropolitan area, which includes Henrico, Chesterfield, Dinwiddie, Powhatan and many other counties in the area, the expected refund amount is approximately $1.5 billion to stimulate the economy. If you need to eliminate your debt, check out our “Bankruptcy Layaway Program” to help make the process affordable.